Crich resident, Andy Parkinson is one of Europe’s most successful Wildlife Photographers. He is a feature contributor to National Geographic magazine, and produces regular photo features for some of the world’s most prestigious magazines. Andy is the UK’s most prolific feature contributor to BBC Wildlife magazine. His images have appeared in magazines such as New Scientist, National Geographic Traveller, Geographical and Natural History; newspapers such as the New York Times, Daily Telegraph, Times, the Guardian, Independent; as well as in online media such as HuffPostUS, on the home page of the search engine Bing, and on the Discovery Channel. Andy is also one of Europe’s most successful competition photographers. With more than 50 individual awards featuring more than 100 images his photographs consistently feature in all of the world’s most prestigious wildlife photographic competitions. In 2016 he was named the overall winner of Bird Photographer of the Year, winning two categories in the process, and he is also the most successful photographer in the history of the British Wildlife Photography Awards, with 4 category wins and 27 individual awards featuring 36 images. He has also been awarded 3 times in Wildlife Photographer of the Year and 3 times in European Wildlife Photographer of the Year whilst in 2012 he was named Nature Photojournalist of the Year for a portfolio of 12 gannet images captured whilst working on assignment for National Geographic magazine. Andy works exclusively with animals and birds that are wild and free, and is renowned for his uncompromisingly ethical approach. He has appeared many times on television, on shows such as The One Show, BBC News, The Victoria Derbyshire Show, Wild about Wales and a memorable piece on Countryfile where he attempted to teach comedian Jo Brand how to capture images of wildlife. He has also appeared on BBC Radio 5 Live and many times on BBC Radio Derby. 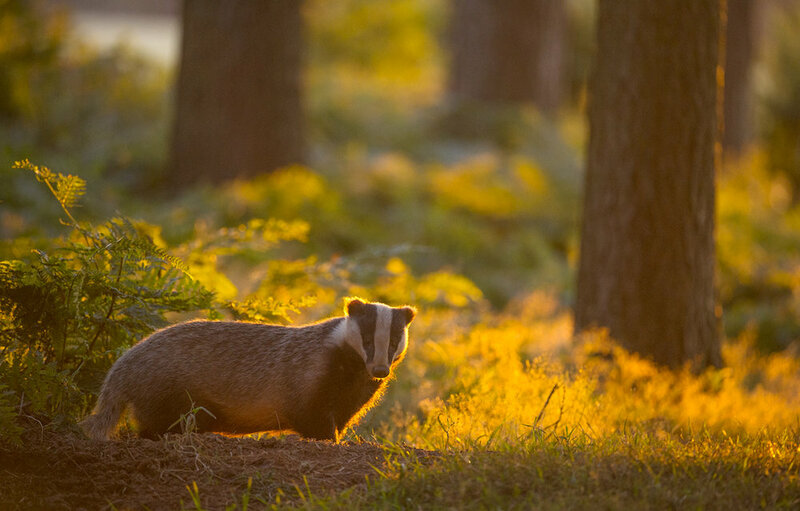 Andy’s talk will feature many of his stunning images in a celebration of the amazing wildlife of the UK, and abroad. Andy is very generously donating his fee to the Glebe.